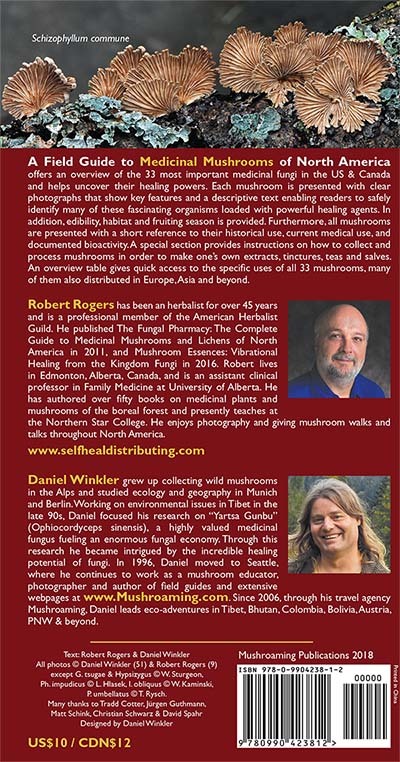 is a convenient, light-weight, pocket-sized, laminated field guide that offers an overview of the 33 most important medicinal fungi in the US & Canada and helps uncover their healing powers. Each mushroom is presented with clear photographs that show key features and a descriptive text enabling readers to safely identify (or warning them if an ID is challenging) these fascinating organisms loaded with powerful healing agents. In addition, edibility, habitat and fruiting season is provided. Furthermore, all mushrooms are presented with a short reference to their historical use, current medical use, and documented bioactivity. 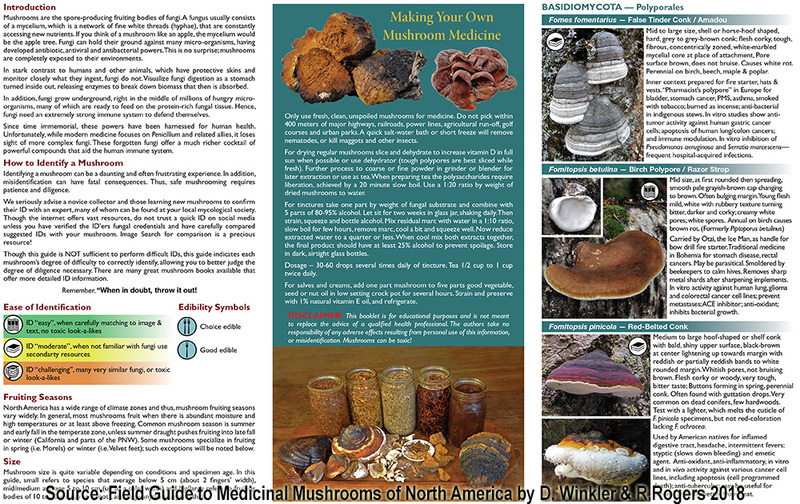 A special section provides instructions on how to collect and process mushrooms in order to make one’s own extracts, tinctures, teas and salves. 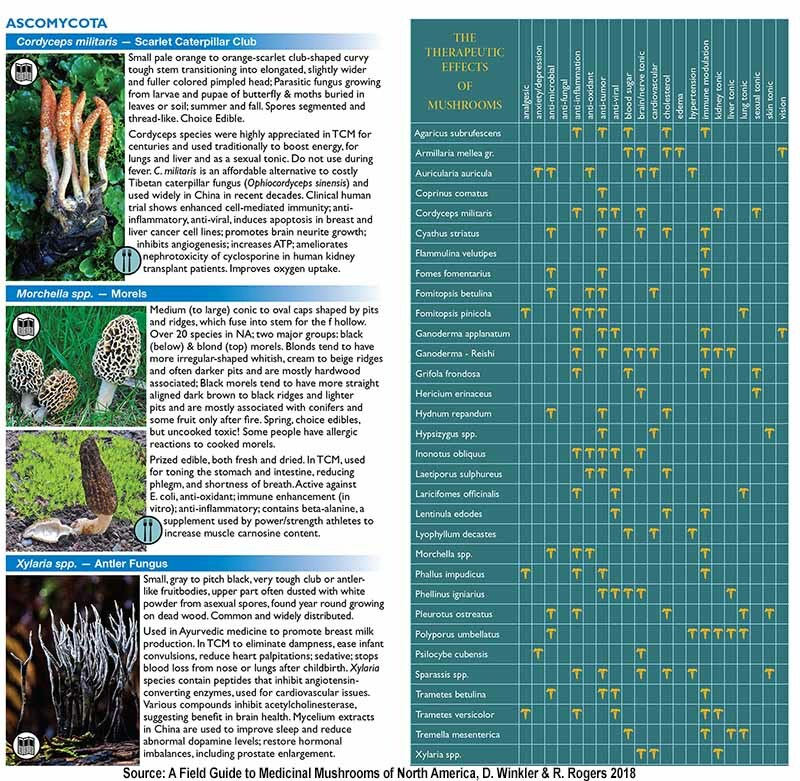 An overview table gives quick access to the specific uses of all 33 mushroom groups, many of them also distributed in Europe, Asia and beyond. 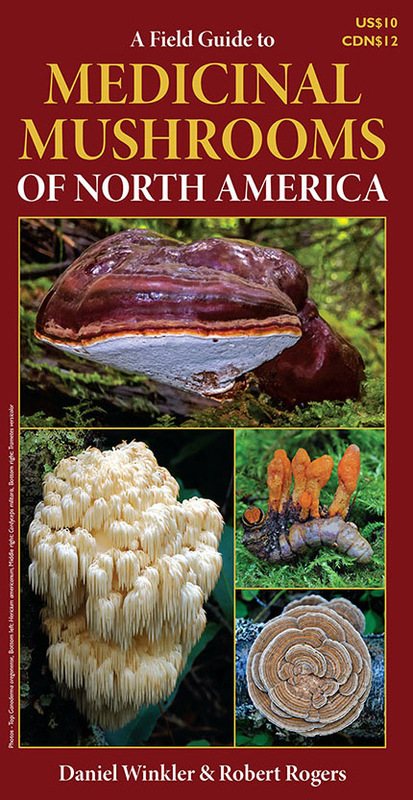 Robert Rogers and Daniel Winkler have released a beautiful and concise pocket guide to the most common and easy-to-recognize medicinal mushroom species in North America! Pairing this with a field guide for proper identification for your area, this handy and lightweight, laminated foldout design is well organized into groups that provide detailed descriptions as well as properties and historical and cultural use. Also included is a distilled overview of how to make extractions, tinctures and even salves! A chart that aligns therapeutic properties with the species listed is also included and easy to cross reference by a persons medical condition for consideration. A must have for backpackers, naturalists, and anyone hiking the woods looking to make medicine from some of the finest fungi in North America! Note, this is not a book, but a fold-out booklet. The two images above show the full content of the 16 laminated pages.